When he was 20, Kevin Brockman decided to start a PR firm in New York with some friends. Now, Brockman is running at full speed as the EVP of global communications for Disney/ABC Television Group. 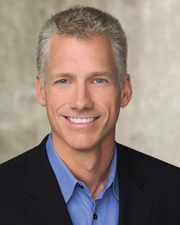 He began as VP of West Coast entertainment 12 years ago and now oversees communications for all networks, including ABC News, ABC Entertainment, Disney Channel Worldwide, and SoapNet, as well as its production arm ABC Studios and book publisher Hyperion Books. “I [worked] at an organization that respected and appreciated effective communications,” he says. “And I worked with some great people who helped... further my career.” Those mentors include Zenia Mucha, EVP of corporate communications for The Walt Disney Company, and Sandra Manley, currently in corporate communications with The Rockefeller Group, who was Brockman's boss when he worked at Radio City Music Hall. Sharon Williams, SVP of communications resources at Disney/ABC, met Brockman while they worked together on the launch of UPN in early 1995. She immediately recognized Brockman's communications acumen. Others got an early taste of Brockman's skills, too. While living in New York, he worked on , an off-Broadway production starring Kathy Najimy and Mo Gaffney. The latter, who moved to Los Angeles for a talk show, insisted that Brockman also move there to handle PR for her. But even as Brockman has come a long way from the firm he first opened, he still has much he hopes to accomplish in his career. “One of the goals I set a few years ago was to embrace the changes we're being faced with in our society and technologically,” he explains. The staff at Disney/ABC was one of the first to provide programming to media via streaming video, rather than DVDs. Under Brockman's lead, it has also introduced creative video and audio podcasts to build buzz for the shows and interest in the company's tech endeavors.